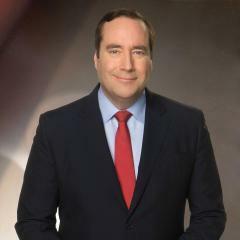 Philip J. LeBeau is a CNBC auto and airline industry reporter based at the network’s Chicago bureau. He is also editor of the Behind the Wheel section on CNBC.com. Prior to joining CNBC, LeBeau served as a media relations specialist for Van Kampen Funds in Oak Brook Terrace, Ill. Previously, he held general assignment reporting positions at KCNC-TV, the CBS affiliate in Denver, and KAKE-TV, the ABC affiliate in Wichita, Kan. LeBeau began his career as a field producer at WCCO-TV in Minneapolis, where he wrote, produced and researched consumer stories. He graduated from the University of Missouri-Columbia School of Journalism with a bachelor’s degree in journalism and broadcasting.